Is Grays Set For A Period Of Development And Construction? A new riverfront, extra retail space and improved communal services are all on the agenda for the overlooked Thurrock town of Grays. Grays in Thurrock, Essex, could be set to experience a radical overhaul over the next 15 to 20 years. Consultation and planning has been underway for some time, since the Grays Town Centre Framework was originally made public in early 2016. The home of inTU Lakeside has not been associated with tales of riches in recent history. 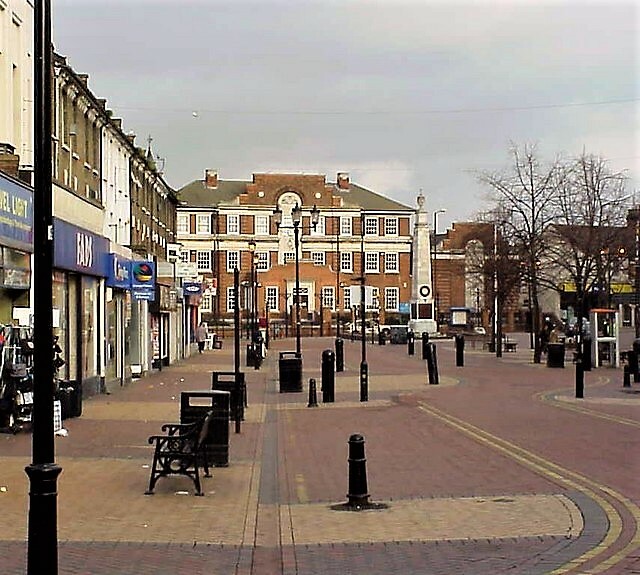 Along with neighbouring areas of Thurrock, Grays has experienced a lack of communal facilities, disadvantaged neighbourhoods, high levels of child poverty and a relatively low life expectancy. Thankfully, this sort of deprivation has been recognised by the Thurrock Neighbourhood Renewal Strategy, who have earmarked Grays Central and Grays Riverside as being two key areas that require priority regeneration. Of particular interest to Grays residents, is the proposal to open up the riverfront to visitors, which arguably should have happened years before now. A promenade, pier with stepped seating to take in the view, as well as a Thameside theatre have all been suggested on town plans that were drawn up as part of the recent consultation. Kilverts Field and Grays Beach Park may also be combined to create a new park next to the river. Away from the river and north of the railway line, there is a suggested new area for shops and cafes which should complement the existing retail setup at Lakeside. It is proposed that up to 5,500-6,500 sqm of floorspace be added by 2026. Shopfronts on Orsett Road will be given a much-needed facelift and a potential area of land for residential housing development would be released. In terms of transport and access, there are many suggestions as to how Grays could become more accessible for residents and visitors alike. Orsett Road would undoubtedly benefit from a two-way road system, while there would be improved cycle and pedestrian paths, particularly around the Clarence Road area. Regardless of the future of this specific consultation, it is an exciting time for those who are invested in the Grays area. Thurrock Council is committed to developing the town and it will be exceptionally interesting to see what changes are likely to be made in the coming years. There is likely to be particular emphasis on increasing local employment options; the recruitment agency Grays provides will be a first port of call for those looking to pick from a diverse range of new positions, which will assist in sustained economic growth for the area. The quality of lives for Grays residents are also set to be greatly enhanced with extra provisions expected for healthcare in the form of GP-led access centres. Additionally, the Thurrock Sustainable Community Strategy highlights the importance of the educational transformation for children in the area of Grays and surrounding localities. Training, secondary education and community provision will all be increased in order to deliver on these promises. At the moment, Grays is not yet the finished product, but it represents serious potential at a time where people are being priced out of the capital. Consider living and working in this overlooked town which is about to experience some incredible innovation.